IIT stands for Indian Institute of Technology. Everyone dreams to get an engineering admission from the IIT which is located in India. The IIT was formed and developed by the engineer and scientist with the objective of creating a talented pool of trained scientists and engineers who could contribute towards the economic and social development of the country. All the courses of the Indian Institute of Technology are offered by the AICTE (All India Council of Technical Education) which is to be found in 1945. The Indian Institute of Technology is the best and the perfect place to study the technology science. The 1st Indian Institute of Technology was found in the Kharagpur in 1951. This will be the first developed engineering college in India. But, now there are lots of Indian Institute of Technology colleges are available in different states in India. The IIT colleges in India are most popular and well developed. Based on the academic reputation, employer reputation, faculty, citations in media, international faculty and international students, the rankings of IIT colleges in India have been assessed below is the list of top 10 IIT Colleges in India. The Indian Institute of Technology (IIT) Varanasi was founded in the year 1919 and developed in 2012. It is located in the city Varanasi, Uttar Pradesh state. IIT Bhubaneshwar is established in the year 2008. It is to be located in Bhubaneshwar, Odisha state. The Indian Institute of Technology (IIT) Delhi is founded in the year 1961 and developed in the year 1963. It is to be located in Delhi, Delhi state. The IIT Indore is present in the Madhya Pradesh state and Indore city. It is founded in the year 2009. The Indian Institute of Technology (IIT) Gandhinagar is established in the year 2008. It is to be located in Gandhinagar, Gujarat state. It is to be located in the Guwahati, Assam state. The Indian Institute of Technology (IIT) Hyderabad is established in the year 2008 and located in the Hyderabad, Telangana state. The Indian Institute of Technology (IIT) Jodhpur is established in the year 2008. The IIT Jodhpur is located in the Kanpur, Rajasthan. The IIT Kanpur is located in the Uttar Pradesh city, which is to be established in the year 1959. These are the list of IIT colleges in India. The eligibility criteria and facilities of IIT explained below. The Indian Institute of Technology is the best and the perfect place to learn engineering studies. The Indian Institute of Technology offers lots of opportunities to the students. The basic qualifications for the IIT admission are Higher Secondary School. The students can get at least 50% for all the exams. This can be the minimum eligibility criteria for the students to attend the Indian Institute of Technology entrance exam. Most of the student aim is to get admission in the Indian Institute of Technology. The Mathematics, Physics and chemistry syllabus are covered in the entrance exam. So, you need to give more and more concentration to the IIT entrance exam for these syllabuses. You can download the model question papers on the Internet. This will help to know how to prepare the exam and to get admission in the Indian Institute of Technology. The Indian Institute of Technology offers excellent facilities to the students. The facilities are available in the premium quality form. There is no extra charge to be considered for the students. Here some of the facilities offered by the Indian Institute of Technology to the students and faculty members. The workshop, Health Centre, Counselling Services, Library, Women’s Association, Information Cell and Student Gymkhana are the major facilities provided in IIT Colleges in India. 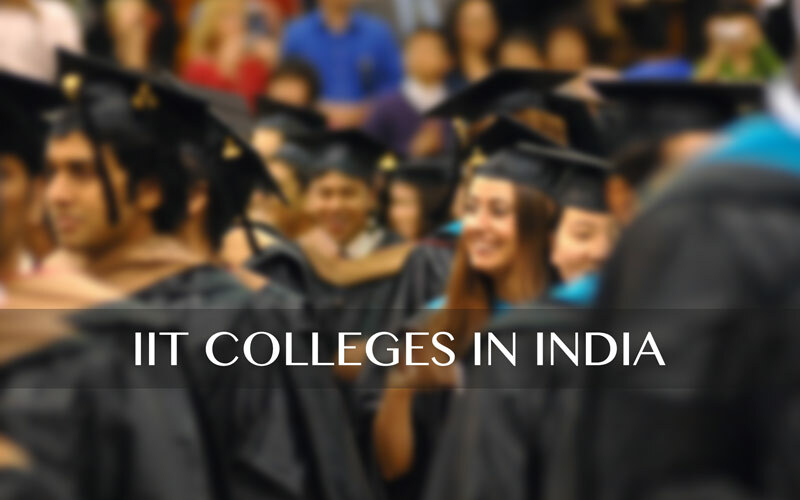 I hope this list will help you find best IIT Colleges in India if you know any other college which is best for IIT education let us know in comment section below.